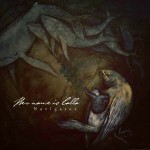 Share the post "Album review: HER NAME IS CALLA – Navigator"
‘Navigator’ by Her Name Is Calla, is a cerebral and emotional work of substance. You may need patience and understanding to get inside Tom Morris’ songs and his vocal enunciations with electronic edges, but you will be duly rewarded with inspired musical moments and emotional revelations. It’s all there on the opening ‘I Was On The Back Of A Nightingale’ on which the combination of voice and strings perfectly evoke the feel of an album that deals with life changes. ‘Navigator’ is a slowly evolving album that draws us into contemplative soundscapes of visceral intensity that shift from minimalism to uplifting polyphonic grandeur. The dozen tracks are emotive, evocative, and uniquely express the band’s own musical vision. Multi instrumentalist Adam Weikert adds an array of instrumental colours to emphasize particular emotions. And it is this sense of restraint and an ability to let the music breathe that makes ‘Navigator’ so refreshing. Sometimes the music evokes lyrical meaning, and at other times the voice and instruments merge to become interchangeable, as on the short ‘A Second Life’. The ‘in the moment’ mood music sometimes builds up the tension but then moves on to something else again. ‘Navigator’ is a dichotomous affair that on the one hand draws you in, and then conversely becomes distantly impenetrable, only to rescued by the band’s evident commitment to their art from. There’s an essential mix of choral, electronic, folk and ambient textures, moving to a fuller wall of sound not unlike Anathema’s ‘Weather Systems’. The two may seem like polar opposites, but their goal is the same, to explore emotional expression through a blend of voice and instruments, except that Her Name Is Calla push forward in their own understated way. The album opens with the sublime ‘I Was On The Back Of A Nightingale’, on which Tom Morris’s vocal and Sarah Green’s strings bring emotional weight to bear on a moving song. The reflective ‘The Roots Run Deep’ has a layered sound, full of fractured electronic beauty and a close to the mic whispered vocal, over an unrelenting synth line and a wry turn of phrase: ‘Back out on the road, when we were young, we thought buildings would be named after us’. And it’s this sense of disillusionment at the core of an ambitious album that tries to capture the emotional turmoil of life. The ethereal ‘It’s Called Daisy’ and ‘A Second Life’ are essentially link pieces that add colour to the band’s experimental canvas. ‘Ragman Doll’ has already been issued as a single in advance of the album. It’s a brave move given that it’s a dense vocal and piano-led piece with echoes of Radiohead. ‘Meridian Arc’ has the emotional pull of Arcade Fire as it twist, turns and stops and starts with sonorous strings and a delicate vocal. It’s a good example of the band’s subtle use of dynamics, and the way their songs never quite follows the path you expect, especially on the uplifting, mid-number polyphonic vocals. The title track starts out as a very delicate vocal from Tom with acoustic accompaniment and various nuanced sound effects including distant seagulls, before either Sophie or Nicole Robson sings the second verse. It’s an object lesson in shared emotion. The vocals almost occupy a musical role, as the lyrics are not immediately accessible on first listening, but much like John Martyn years ago, they blend seamlessly into the music. ‘Navigator’ imperceptibly steps up a gear with a plucked acoustic and an uplifting violin line carving out an emotive space in a dark landscape. Before a cod cinematic finish. It would be a vacuous exercise to burden the band’s with various labels, even if there are fleeting glimpses of Arcade Fire and especially Radiohead on ‘Burial’, on which the voices overlap to add a little more edge to match the lyrics: ‘I don’t have choices, only anger’. ‘It Was A Flood’ is a minimalist arrangement while ‘Whale Fall: A Journal’ features the kind of after hours electronic experimentation that probably came as light relief to the band after hours spent painstakingly crafting their oeuvre. ‘Dreamlands’ is a vocal piece with electronic whale sounds and white noise, before the album is book-ended by the slowly evolving ‘Perfect Prime’ with sonorous strings, pregnant pauses, resonant notes and pristine vocals. This entry was posted in ALBUM REVIEWS, ALBUM REVIEWS (Mobile), All Posts and tagged Adam Weikert, Anathema, Arcade Fire, electronica, folk, Her name Is Calla, John Helps, John Martyn, Navigator, Nicole Green, Radiohead, review, roots, Sophie Green, Tom Morris. Bookmark the permalink.